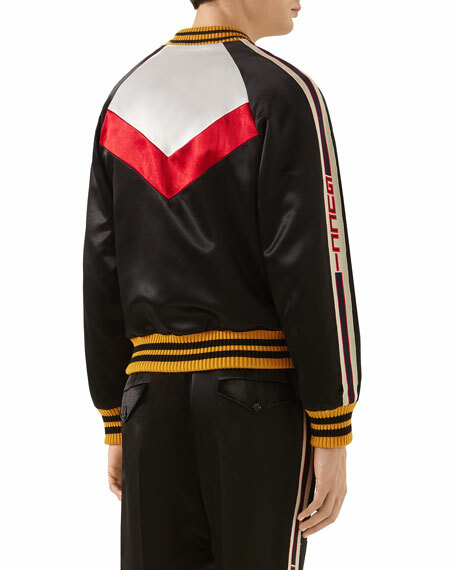 Gucci jacket in colorblock satin. Gucci jacket in vintage GG logo print with rope trim. Solid shawl collar; two-button front. Hip patch pockets. Cutaway hem. Gucci jacket in vintage GG logo print with rope trim. Solid shawl collar; two-button front. Hip patch pockets. Cutaway hem. Vented back. Wool. Made in Italy. 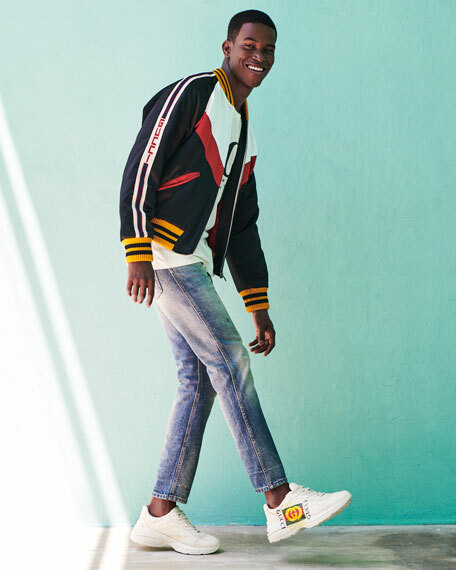 Gucci sport jacket in interlocking-G pattern with flying pig patch. Oversized notched collar; double-breasted button front. Four-button cuffs. Welt pocket at left chest. Patch pockets at hips. Even hem. Cotton/polyester. Made in Italy. 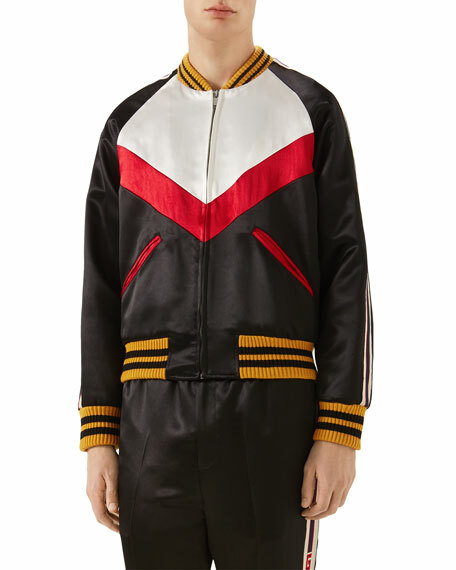 Gucci track jacket with signature web striping. Spread collar; zip front. Panther applique at left chest. Side slip pockets. Straight hem. Nylon. Made in Italy.